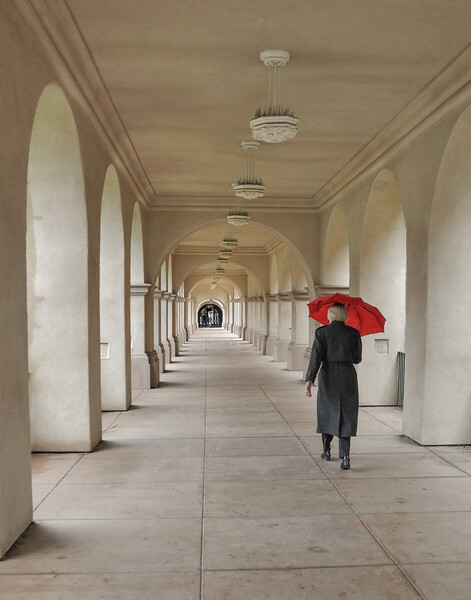 I had just taken pictures of this hallway in Balboa Park, San Diego when I turned around and saw this elderly woman walking toward me with the red umbrella. As she passed I turned and took pictures of her as she walked down the hallway. I waited for a while for other people with umbrellas to come by, but nothing as unique as this photo occurred.